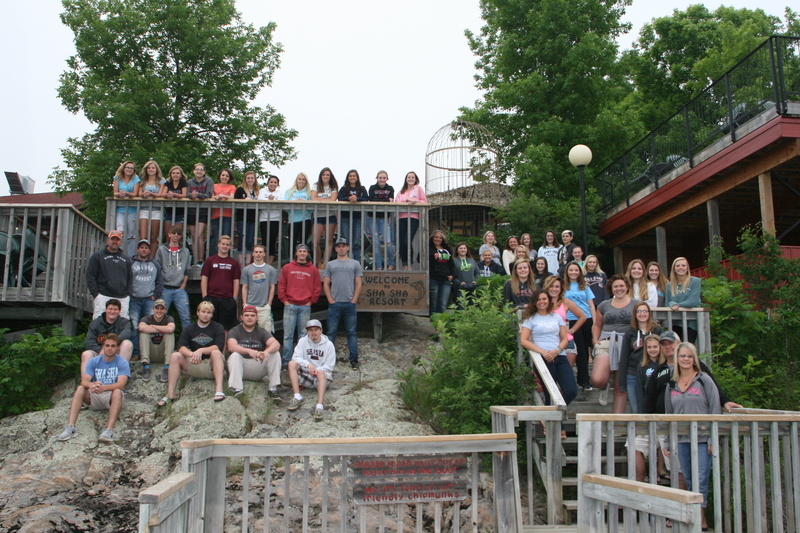 Located 10 miles east of International Falls, Minnesota, on spectacular Rainy Lake, Sha Sha Resort is nestled on the tip of a wooded island named for Chief Sha Sha who fished and hunted in the area during the days of the Voyageurs. Spanning 73 miles in one direction with more than 200,000 total surface acres and 1,600 islands to explore, Rainy Lake is a popular destination for fisherman looking to catch some of the lake's countless walleye, small mouth bass, northern pike, and crappie. 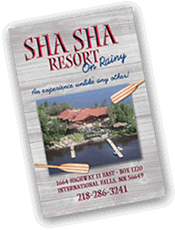 In addition to providing direct access to one of the premiere walleye fishing lakes in the United States, swimming, boating, sunbathing, and waterskiing are just a few of the other outdoor recreational activities available at Sha Sha Resort. Whether you are enjoying the pristine wilderness, relaxing in one of our 9 comfortable cabins, admiring the abundant wildlife and stunning views, finding the perfect souvenir in our gift shop, enjoying a delicious meal at Sha Sha Bar and Grill, or exploring the area's attractions, a stay at Sha Sha Resort offers a unique vacation experience unlike anywhere else in the world. Sha Sha is available to host weddings, receptions, dinners, reunions and graduation parties. Rainy Lake offers a world-class fishery for walleye, small mouth bass, crappie, and northern pike. Sha Sha serves up both lunch and dinner 7 days a week. Click here to see a full menu. Find a gift for that special person that couldn't make the trip.